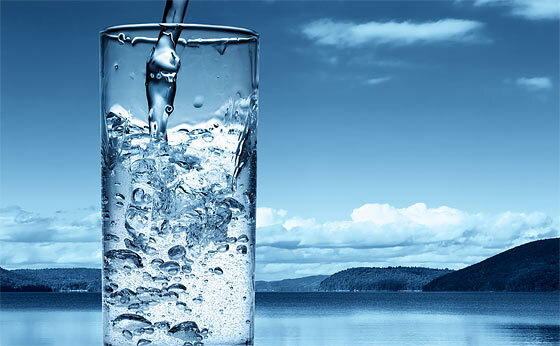 Here’s the thing about water that most of us already know, but many ignore… ‘you can’t live long without it’. In fact, water will rapidly become a NUMBER ONE concern following most any major disaster. As I’ve said before, I believe that many or most people who are actively involved in preparedness, often overlook the importance of water by making the assumption that water is and will always be easy enough to obtain. This assumption is based on the readily available supply that most of us take for granted, and the fact that we often ‘see’ water in our natural surroundings as we travel here and there. A major disaster will likely coincide with a loss of electricity. Not everyone associates the fact that most all flowing tap-water is dependent upon electricity (pumps). For nearly every home, you cannot have one without the other (water & electricity). Pumps are required to move the water around the utility system’s infrastructure and to supply the pressure necessary to ‘push’ it out of your faucet. There are some locations and systems that are gravity fed, but in most of these cases a pump is still required to move the water up into a holding tank. When the power goes out, the system pressure will begin to reduce until there is no more – which could happen fairly quickly as people continue to consume the water in their homes. People also tend to put the water issue out of their minds because they believe that if their faucets run dry, they could simply collect water from a nearby source – perhaps one that they pass every day in their travels like a pond, lake or stream. There are several problems with this though. One is that water is HEAVY, and weighs about 8 pounds per gallon! Another problem is transportation and the containment vessels to be used to collect and transport the water from the source to the home. Will a means of transportation be readily available? And if so, for how long? How will the water be collected and moved? Plus, once you have obtained the water, where and how will you store it at home? And do you have the means to purify it for safety and to make it drinkable? If you will be relying on boiling, how long will you have the fuel to continue to boil water? Do you have a quality water filter that is capable of purifying many many gallons over a period of time? At a minimum, you should have some amount of stored water for use in case you need it. Surprisingly, I believe that many people do not have any more than a case of ‘water bottles’ at home. I wonder how long that will last? You might consider storing some water in bulk, and there are a variety of ways to do so. You could store many cases of bottled water, and/or you might choose to purchase larger water storage containers such as this one, 7 Gallon Rigid Water Container, which would weigh a bit north of 50 pounds each when full. Here’s a 5 Gallon water jug which might be a bit easier to manage. Another option (from Tom over at CampingSurvival.com) are stack-able water bricks. If the power goes out you might proactively fill your tub with water. A bathtub can hold a-lot of water (between 40 and 60 gallons). You should not drink the water that you’ve saved in the bathtub without purifying it first. There are water bladders for bathtubs that will fit in your tub and will help protect and maintain water purity. During an emergency in which water may become scarce or contaminated, in addition to filling the bathtub you might also fill any other water vessels that you may have on hand – buckets, pails etc..
Having a water supply storage at home is one thing, but a problem is ‘what if’ it runs out (and it will if the disaster runs on long enough)? You will need a backup plan to procure more water. If you are fortunate enough to have water nearby, you will need a way to get there and back, and buckets to scoop and transport the water. Consider having a wagon or cart to help transport buckets of water from a nearby source. You might also choose to install a rainwater collection system to capture the rain that falls on your roof. It is stunning as to the amount of water that you could capture. For every inch of rainfall there will be 0.623 gallons of water falling on every square foot of roof surface area. If your roof measures 50×30 feet, you will capture more than 900 gallons of water per inch of rainfall!! There are rain gutter adapters available to divert water into storage barrels. The same principle applies if using a plastic tarp, which you may set up on four poles and puncture a hole in the middle which drains into a barrel, or whatever. A 9×12 tarp will capture more than 60 gallons of water per inch of rainfall! You might also choose to have a well dug on your property. This is an expensive option (thousands of dollars), but it is an option to consider. The well will require a pump (which runs on electricity), but you could use a backup alternative energy source such as a generator or a solar-powered system. Fortunately, I have a rather large pond. Drawing it, filtering it, and purifying it will take some effort. I have all the necessary equipment, but it will take work. I have checked with several people in my small town. They all claim that water would be no problem, as long as there is no break in the pipes. Our water is from an artesian well that comes up out of the earth under pressure and needs no electricity to keep flowing. Also, we have a million gallons stored. That’s about 550 gallons per person in this town. It might need to be purified, though. I have a Kelly Kettle and three different types of filters. I have stored about 50 gallons of tap water in 2 liter pop bottles and a few gallon jugs. I also have a rain barrel for my garden. I live about a half mile from the river, so I could presumably get water from there for purifying and drinking. But we live in an arid climate. I couldn’t keep my garden growing with the water available unless the town keeps our water flowing. Our biggest problem is the depth of our well. After many, many hours of research, the hand pumps just won’t pump from the depth that we have to deal with where we live. Even the deep well hand pumps only promise to pump from a depth of 300′. Our generator is not strong enough to supply power to the pump as well. So we either have to consider investing in a larger generator or consider looking into a solar set-up just for the pump. On the bright side we can see two different sources of water just looking out of our windows. So hauling water will most likely be what we will be facing. We do have a solid dolly that we can put a barrel on and haul down to the brook or pond and fill it. Of course we also have a rain barrel and tarp to collect rain water. Lack of space allows us to only store about 7 days worth of water. If we didn’t have sources of water near us I would definitely look into a larger storage system. We have a Berkey and life straws (which I will be replacing with Sawyer filters as we go along). Peanut Gallery, Wow, how deep is your well? Deeper than 300 feet? Our well is 320 feet deep and we have a large generator. Also a well bucket, also 55 gallon barrels, also 3, 1150 gallon water tanks, also about 50 juice containers full of water, and I am still worried. Would you believe 500′. It was very expensive to drill, but it is the best tasting water. My daughter who lives out of state was up visiting recently, and the first thing she did was drink down two glasses of water. Says that even the bottled water in her area doesn’t taste as good as our well water. Peanut Gallery, Wow! That’s deep! 🙂 I guess your static water level would even be deeper than 300′ in that case? Ken thank you so much for this blog…I read it everyday. Topics are spot on. You are doing folks a great service. God bless you and yours abundantly! Water, we are very grateful to have a spring on our property with storage tanks as well. Our solar power can run a pump to bring it up to our house, but if that fails we would have to haul it up. That in itself would be a luxury for many people in the world. Our neighbors have spring and wells. Good Shepherd give us wisdom and faith to prep well. @Shepherdess, Thanks for the compliment and for regularly visiting and enjoying the blog. We too are grateful that we have a natural spring on our property which supplies our home with water (always 45-degrees-F). My solar panel system provides enough power for the pump (and home). Worst case scenario would be EMP taking out the solar power system and/or the generators, which would then force us to haul the water (which is a good way from the house – about 600′ down a hill). Would use one of the tractors and utility trailer for hauling (until fuel runs out), and after that it would be ‘hoofing it’. I would also immediately implement a rain-catch system. I keep a few 55-gallon water barrels filled (just in case) at the house. As memory serves me, dh & I watched the NatGeo series on the “Castle”. Their water was below grade from their construction site so they ran pvc pipes to the spring/creek. They then used their solar panels system to bring the water through the pipes up to the castle, from there I do not recall what they did. It might be something that can be used at your home and others on this site. Just an idea. Since you have water/spring on the property, if needed instead of using tractor fuel, could you run a hose to the house from spring, with either hand pump/suction/gravity feed? Saw someone water their garden that way. Ken, can/have you looked into the possibility of a “ram pump” for your spring? It doesn’t use electricity at all. The Amish down in Pa. use them to pump water to their homes/farms and they can pump 300′ with no problems. If you are going to take a long weekend with your family, you might want to go down to Lancaster PA. and check them out. Or just search Ram Pump on Youtube. Engineer776 posted this on the ram pump years ago. I would do a ram pump in a heartbeat if I had some falling water anywhere on my property, even if it was only to water livestock or a garden. Yes, someone we know nearby uses a ram pump for their spring… Pumps to a cistern in their basement. Its on my research list… Mine would have to pump 600 feet plus a vertical of about 70 feet (not sure if that’s possible). Without knowing how long we’d be without power, and being on a well, we’ve given this a lot of thought. First, we have an 8.5kw generator converted to tri-fuel, piped to a 500 gal propane tank, that will run the entire house if we don’t use the AC. Second, if the first genny gives out, we’ve got a 4kw generator, also converted to tri-fuel, that will run the pump by itself. I re-wired the well house so as to isolate it from the main system if the pump is all we’re running. Third, I installed a “Simple Pump”, a manual hand pump for deep wells up to 325′. Our well is 300′, but static water level is 160′ so our pump foot is at 184′. We’ve got another 27′ of pipe and sucker rod in case the water level were to drop. Down the road there is an artesian well I used when I ran out of my storage during a week long power outage. My well is too deep for a hand pump. There are also several lakes near me I can use but it needs boiling for drinking because beavers frequent the area and I have a rain barrel for run off I use to wash my hair. I am covered by 3 different sources, so water is not a serious problem for me. With all of the work and “stuff” in preparing for SHTF (or even the EPA contaminating an entire RIVER system) one must consider exactly what each person will need. And I don’t mean the standard answer of “one gallon per day”. That may be fine for drinking only, but y-all had better figure on a LOT of other things for long term. Washing dishes, toilet (or maybe outhouse), Laundry, dog-water, Cooking, Drinking, the list could go on and on. What about that 2 acre Garden you’re growing? With that said, I’m good to go on the water thing; short term, a lot (35 cases) of bottled water and (2) 7-barrel (217 gallon) Stainless Steel vats, plus (20) 5-gallon water cooler jugs. Long term, I live less than 2000 feet from a 2 acre spring feed lake and the Animas River. Unfortunately that water would need to be hauled and filtered/purified. Also have one of those fancy Berkey filter’s Ken mentioned (very nice, don’t forget spare elements) and 3 Mini-Sawyers good for 100,000 gallons. Please have water, if absolutely nothing else have water, it’s cheap and easy…… Dying of thirst would be a bad way to go. I live in the NM area where people from Italy are trying to sell thousands of gallons daily to Albuquerque for the Rio Grande. We have been fighting it for years and our group has won several times, but they keep refiling. We may loose this time. I love the Sawyer water filters for their simplicity, ease of use, and price. We have several and always give these as gifts to those we care about. One thing to keep in mind – the travel mini will do 100,000 gals for about $20 per unit; however, the All in One will do 1 million gals for $50 to $60 per unit depending on who has them one sale. You can carry this unit in your travel bag easily too. I have a swimming pool, 3 ponds, 1 with fish almost a small lake that I kayak on, a water catchment system and multiple filtering systems including a Berkey. Also have many cases of bottled water. I think I have water covered. Unless they stop the rain and then I will eventually run out. Scary thought!!! I have an in ground pool also. What do I have to do to make the water drinkable? Getting a 50 gallon barrel or 2 is on my list. I would use these for rain runoff if the water stopped coming out of the faucets. They run around $100 each with a spigot though. I would fill the tub and I have to kiddie/dog pools that hold 40+ gal each and of course the water heater. I live 2 miles from some ponds. As long as the car runs I would use it and then a bicycle with baskets or some sort of jury-rigged system on it. Have a Berkey and a Katadyn filter. I’ve considered getting a small pool but have read that the liners are typically treated with ‘something’ and if that is true I wonder if a filter would still make good water or not. check my follow up post on the drums. Called one place and some lady had no idea. Will check around some more. I went to a prepped store and bought several used food grade barrels for $30 each,then cut the hole for the spicket with a hole saw added clear calking and screwed it in. The lid is drilled in 4 corners then used a rotary saw blade for drill and cut on the lines traced from the flexible gutter line. It has a screen to keep out bugs and a leaf screen in the gutter to keep out large debris. Also have a vent that was for the original water diversion system that I put a screen on. The original system did not work well so I modified it. It maybe because I am using a 12 X 12 metal roof shed with a gutter system. Metal roofs give you cleaner water. My house also has cement shingles so not sure about what that means either. About 120 gallons drinkable stored in the house. 8 55 gallon drums to catch rain water. Multiple filter systems. Pool shock etc. Replacing more could be a time consuming problem. I have multiple small lakes and streams and 1 major river in my area but they are several miles away so would need to transport back to the home. For the people looking for 55 gl drums see if you have a towing or trucking company in your area. The diesels need to use a product called Blue Def for exhaust fluid. Most buy it in drums. This is a combo of water and urea so the drums can be easily cleaned and they are food grade. Most of these guys are just throwing them away. I have a buddy that owns a towing company that’s were I got mine. We have some, maybe even a fair bit, but nothing compared to most of you. Venezuela’s deepening food crisis sees ransacked stores, deadly riots. Believe this item was in Kingman AZ, saw what I refer to as “Petticoat Junction” water tanks. Built up on high stilts with a water tank on top for gravity fed water pressure. The price for the units were not posted but at the time thought it would make a great decoration at our place with a side benefit. I think this topic is so important & a lot of people don’t realize how many things could go wrong & stop their water flow. Our 9000 gal. cistern is down after a winter of usage & since we have not had a lot of rain to refill it this spring. Makes me a bit nervous. We do have a shallow well with a hand pump as a back up plan. We also have 2 generators. Our 2 dugouts are way down this year especially the one used by the cattle. Our neighbor puts about 160 cows & their calves in for early spring pasture. They have now been moved to a different pasture so it has time to regenerate. The last couple of years we had too much water & were having to deal with that. How quickly things can change. “city girl” ????? Yeah RIGHT!!!! how about “Lifestyler” with real life experience/education???? I have city water but also have a well. I have a generator to operate the well, until fuel is gone. I have 100 gallon fresh water tank in RV. I have two 55 gallon and one 30 gallon drum. I have three 7 gallon Aquatainers. I have an RO filtration system in the house and several Sawyer mini filters. If all else fails there is a little known spring about 2 miles from home. I have a well that we used for years for the house. We now have rural water and am looking to change to a manual pump. Any recommendations on brands or type will be greatly appreciated. Well is only about 40 ft. deep with 8 in. bore. Bison Pump makes shallow well pumps that I’ve heard good things about. I agree with Ozarks Tom. Bison makes a good product. also look at the “Simple Pump”. I have done a quick look at Simple and Bison. Suffering a little sticker shock right now. Check out you tube. Type is something like: DIY well hand pump. Lots of really good ideas and information to make your own on the CHEAP! Dumb question for all. How can you find out how deep your well is? Been collecting water for short term outages. But we need to find something for long term. There’s a lake close by and a small river up the road from us and another larger one a bit further away. Would still like to rig something up to make our well usable. If you have access to the top of the well, and can open it, just tie a small weight to a string and lower it down the well…. Thanks NRP, I had thought of doing just that but figured that maybe I was making it too simple. DH isn’t cool with the idea of opening it up. Says we may be introducing contaminants into the well. I guess I’ll go through the paperwork we got when we bought the place. There was something there about the well. Can’t remember what was detailed in the report. Don’t want to involve any official agency just in case I end up opening up a can of worms with my request. You’re welcome. BTW, contaminating a well will take a LOT more than just opening it and doing a depth test, also you could pour in cup or two of Clorox if concerned. Please don’t take this wrong, but if DH is that worried, than maybe you should not even consider a well…. I have had wells most of my life 35+ years, and have never had one get contaminated…….. And most were in a well house with the tops open to the air/world. DH grew up in the country on well water. Had a farm out in Oklahoma with well water as well. I’m thinking he’s just trying to avoid doing the work since he’s handicapped and can’t stand for longer than 10 minutes at a time. Maybe if I whine, he’ll give in. I bet you could call a Water Well dude and he would come out and test it for you if you used words like “we’re thinking of having you set a pump, but need to know how deep and the cost”. Just a thought…. If you unable to find the paperwork post again on this matter, and I will dowse the well for you. It’ll have to wait till jam making is over. I thought that dowsing locates water not depth. I may be wrong on that. We are known for only locating water. Those who have attended classes and became certified are taught the specializations in the dowsing field. Personally I was trained my a master dowser who won ‘The Dowser of the Year’, two years in a row. He was a sweet gentleman, and gave of his time when I had questions, we would swap new techniques we had developed and tested. Any way, getting back to the water issue. Locating, well depth, static water levels, gpm, quality of water are our usual forte. Hope that answers your question, just let me know any time, will do all I can to assist you. Also, in most States the Department of Natural Resources (may vary by State) has all the info on all wells drilled going back many decades. In Missouri all well drillers have to submit all pertinent information, total depth, static water level, casing size & depth, etc. I would agree with you on the .gov records, well (pun intended) maybe not so much on trusting the .gov to keep records correct. Or if the well was even recorded. I have found do NOT involve the .gov (even if for research) unless absolutely necessary. It’s NONE of their business as long as the well was installed properly in the first place. PS; neven Never NEVER tell anyone (especially the .gov) you may be using a well for watering your Garden of irrigation…..
NRP I would not tell any .gov person anything I absolutely didn’t have to. With that said why would watering the garden be a bigger deal than anything else. Just a lot of crazy rules that I pay no attention to, or so it seems. Good question….. In this neck of the woods (actually desert) watering a Garden (remembering a “Garden” can be many acres) or “crops” is considered agricultural and you have to own water rights to water agriculture even if pulled from a well. Normally a well is used for household only and is not considered in that classification; hence no “water-rights” are needed. NRP, best advice yet. In all facets of your life not just water. Especially now…seems folks have a hard time keeping their tongue between their teeth nowadays. This Lehman’s own galvanized well bucket will work on any well once the pump is removed. There are instructions on building your own on the web. Not a bad idea if the power goes out for any length of time. We installed a Bison stainless steel hand pump on our well after the Derecho windstorm took out the electrical power to this area for over a week. No power means no water from the well. Now we can manually pump water from the well if we need to, and the Bison hand pump is also a really attractive fixture in our vegetable garden. We also bought a propane-powered generator and a Berkey water filter. We are fortunate to have a small creek on the property and a small river down the road that can serve as back-up sources of water. The water would need to be filtered and purified, however. We are on a rural water supply but still have an old seep well and a cheapie hand pump I am looking to upgrade to freeze proof. OK, well now you guys are really starting to persuade me to think about moving. We recently changed to a tankless water heater, which is great, but we also lost 50 gallons of reserve water. I did put together a condensate recovery system for the new AC units; total waste of effort. The RH in the air around here is quite low. I don’t think we are allowed to drill a well. Anyway there are a few hundred gallons scattered around between outside barrels and bottled. But we are right under the approach to a small airport with a lot of helo/LEO traffic, so that secret is not so much. I suppose we have enough water on hand to last us long enough to assess the emergency and make contingency plans to get the hell out. Because really if something were to happen that would cut off water to the masses around us… the concept of SHTF would be instantly redefined. Yeah, the older I get, the less inclined I am to stay here in the SoCal megalopolis. Yes I raised a family here. Yes I invested an incredible amount of time, effort and money to rebuild our humble abode. But really, not of that matters when things go Mad Max. I have no clue what I would do to source water after the taps stop working. So…. How long of a list would you like to convince you that So-Cal is not really the place to live my friend? And yeah, yeah, yeah, I know all of the reasons to live there; I did for 10 years, in San Diego. I got out in 81. Moved and NEVER looked back, best thing I ever did. And please do not use the age old addict of “work” as a reason for being there……. I will admit, there is no place “perfect” but, SO Cal??? Really??? Nearly 40 million people??? OUCH!!! BUT, just think if everything does go “Mad Max” you may have a front row seat……. Right? Yeah, well the job is rapidly turning into a dud. And we are just as rapidly approaching empty nest status. Two vacant rooms doing us no good at all. A wise salesman once told me “the only one who likes change is a wet baby”. Mrs. and I love our ethnic food varieties that are really only found here. She’s from another country, our family is vegetarian. Moving anywhere less umm ‘diverse'(?) I suppose would take some getting used to. I dunno.. maybe its time to start thinking about our sunset years. It’s just, well, it’s HOME whether we like it or not. It’s where our kids were born and raised. I get get stomach flutters just contemplating a major move. Hard decision I know, but try making the pro-con list….. Even worse that the 4 nuke plants…. Have you seen the 5-805-395 interchange just north of San Diego, or maybe the 805-8 one in Mission Valley, or any of the other “freeways”? OMG, there is NO WAY to get out of dodge if something happens. Seriously the last time (and it will be the last) I was in CA. I literally freaked out. After living in the rural areas for 35+ years I can’t handle the masses of CRAZY/RUDE/IGNORANT people anymore….. And yes I know there are a lot of good people there, but ya better have your affairs in order if “anything” happens. Just a Happy thought for ya all. It’s a great idea, but not feasible. Tankless heaters have to see minimum flow rate before they will turn on. This can be achieved with a re-circulation pump and circuit, but that gets into megabucks and defeats any realized energy savings. My gas bill year round ranges from $15/ in the summer, to maybe $30/mo in the winter. I’m not sure I understand. The pressure coming out of the secondary (storage) tank should equal the pressure going in. Is the minimum flow rate different than the pressure of the water coming from the external delivery system? I would be VERY concerned about the structural integrity of your 7.5 s/f of floor space. 320 x 8.35 = 2,672 pounds! Pay attention to McGyver’s advice. Unless your home is on a concrete slab, the foundation will not hold the weight. I recently purchased a 305 gallon water tank which I built an elevated pad for, below the gutters at the rear of my home, using doubled 2×10’s on 12′ centers, on concrete blocks, to hold the weight. No way my pier and beam foundation would handle such concentrated weight. Should read 12″ (12 inch) centers. I have thought of using those, but the cost seems a bit high…. Have you looked into the IBC totes? They have skids, metal frames, stack-able with shut off valves, food grade(just make sure it held no chemicals). Holds 225 to 300 gallons of water, space wise less than 4×4 width, height about the same. Depending on the area you live in they can be purchased from $30 to $185.00 which less expensive than what you were speaking of Beach’n. You can find them on line and on Ebay. I would check your weekly mini sell paper we have one referred to as the Nickle, but your areas will be different. Parts for these units can be bought at Amazon to convert the pvc fitting to US size, as many of these come out of England or EU. I believe that’s what Beach’n is talking about. I have been lucky to know someone that’s in the Brewing businesses and I have acquired a couple of “used perfectly good” Stainless Steel Fermenters (7 barrel) and use those for water storage. I did look into the ones you mentioned, and are GREAT for water storage. Would recommend to anyone. Beach’n I placed a supertanker (250 gal upright) in my garage three years ago placed a mat on top of the concrete before placing the tank on the floor, built a 5″ x 6″ insulated walls, top, and door enclosure to keep it cool and dark. In addition installed a fish tank air bubble machine for the tank to put oxygen into the water. I love the supertanker, being vertical it is a spacesaver it was worth the money, Note, I drain the tank and refill yearly. Water is our Achilles’ heel. We have two water heaters (70 gallons each), 50+ gallon jugs filled with water, 5 50 gallon barrels and an outside water tank system. Also a water bag for the tub and a Berkey water filter. The yard would have to fend for itself, and the water would have to be for drinking only. If I could get another two tanks of the same size we might be able to make it for a year, drinking water only. It’s scary. The nearest river is about five miles away, the nearest lake about 15. But there’s a massive aqueduct buried under the development next door that takes all that lovely runoff down to the river. If water became that much of an issue I’d be diverting rain-flow from the street into the park-strips, digging down about three feet and making them into overflow tanks. I’d be piling snow in them during the winter. I’d be digging through the asphalt and making a “well” in the top of that massive pipe. I’d be catching the rainfall off my whole roof, not just the two rain gutters that are out of sight of the street. At the moment I have to be satisfied with preparing for that eventuality, since most of that is currently illegal. Is the 0.02 micron filter worth the extra expense? Are waterborne viruses that much of a concern? (I live in NE Ohio if that makes any difference) Can I safely get away with a 0.1 micron filter? Any input from those who know would be greatly appreciated. Sawyer Products Mini Water Filtration System, at $18 you can’t go wrong…. The Sawyer SP 181 is a little more expensive but can be adapted (along with a 5 gallon bucket) to filter up to 540 gallons a day. Both are great filters at a low price, I have several of both sizes. @ HG#28, consider that if there is a true SHTF scenario, people are likely to lose the ability to use their toilets. So people will likely start using the great outdoors to do their business. Conceivably the water ways can now be contaminated. Water being so critical to survival, I recommend to get the best that you can get. If you have to deal with daily bouts of diarrhea, you will become weakened and likely to be incapacitated as well. he reviewd the sawyer and stated this was the same filter he used in the labs and they work period…..good enough for myself. If you were going to a 3rd Country where sanitary & water is drawn from the same place, then I would advise to purchasing it. But if you plan to stay in the USA stay with 0.1 micron. To help with fibers in the water while drawing from a brook or lake, use a coffee filter at the bottom of it, and it will prolong the life of the straw and make things easier to clean. We have five 55 gallon water barrels, lots of 5 gallon, 1 gallon, and 7.5 gallon containers, a pool, a Big Berkey, Life Straws, bleach and other water purifying tablets and drops, distilling bowls, and an “emergency well tube” that we can lower into the well that retrieves about a gallon at a time. Emergency well tube has a website with a how to video on it. It’s very basic, therefore inexpensive. But better than nothing. We fortunately live on a 14,000 acre lake. And have a Noah “Trekker” filter system that will filter 1 gallon a minute. In winter I might be challenged as the ice could be real thick. Drilled well, too deep for hand pump. Dug well currently used for irrigation near the house and a small pond on the back lot. Both will require treatment, but are in place and steadily produce water. A well weep hole operates on the same principle as weep holes in masonry to keep buildings from flooding—Those vertical spaces between bricks right above foundations. “To freeze-proof a hand pump, it is common to drill a 1/8” hole in the drop pipe below the frost line so water is drained from the pump and drop pipe. As usual, we went farther and installed a 1/4” gate valve below the frost line. Now, with a simple twist of the handle at the wellhead, water drains from the drop pipe.” waterbuckpump dot com. You tube has lots of vids to DIY well hand pumps. Add the freeze-proof to the search, or try searching on DuckDuckGo. This is an Excellent browser that pulls up non-user / browser specific results. It displays alt. media results. It does NOT limit searches to msm sites>>>and THAT is why people search and search and can’t find anything! What would it take to make A/C condensation potable? The birds and dogs use it without treatment straight from the A/C. 25 gallon s stored. Manual and electric backups. The well level is about 22 ft from surface. Guess I’m one of the lucky ones. How about those of us who live in arid and drought stricken So. California? Just bought some 50 gal. water collection barrels (will buy more later) and hope to collect eventual rainwater (hopefully!! )during our “rainy” season!! Have been filling many 2 Liter and larger containers with water for some time now and there is not much space left!! There are few resources around us other than several lakes/resevoirs about 10 miles away (i.e. Lake Perris, etc). As long as you have fuel for your vehicles, you might be able to obtain water, unless access is blocked by authorities! I do have info. on how to collect moisture/dew using tarps, but that can be very limited for the number of people in our house (9). Anyway, am worried and wish we could move to another state with more natural resources, but since we cannot do so at this time, must try to work with what we have! Any ideas?? Lots of questions for All of YOU knowledgable peeps. First – We currently live in a county w/county public water – 40 min walk each way to a reservoir. Is it definite that when SHTF county water will NOT work? If so and IF we could afford to move soon…should we move strictly because it would be MUCH better if we had a well? Does the well need to be deep or shallow? I’ve seen some of you say that your wells were too deep (I though deep wells were best) for a hand pump and I would need to have a hand pump to get water…right? One of you even said that the hand pumps don’t work…WHAT? Next, I bought instead of a big Berkey – an Alexa Pure Pro. I keep hearing Sawyer and Berkey from you all. What about Lifestraw Family? What’s the best for long term and why? More questions to follow. Thanks for any and all advice! IP help,first of all you asking questions and owning a water filter system puts you ahead Of 90% of the rest of the population. When it comes to County/municipal water systems it’s the lack of control that’s the iss6. You are at the mercy of the water coming or not coming out of the tap. That is why you store water for short term emergency. Broken water main,storm,power outsge..long term issues call for a different plan. A 40 minute walk to the reservoir will be difficult when carrying back water. Rigging up a bike to carry water will cut down on your fatigue and time spent. Is it a safe area or do you need security to the water source. Best to figure this out now before an emergency. Having a well on your property is a bonus but it becomes your responsibility to make sure the water flows. Pipe repair,pumps,power source. Depending on your local water table determines how deep a well needs to be for consistent water quality and flow.. lots to learn but all doable. Water is a big concern. Glad to see you are working on it.